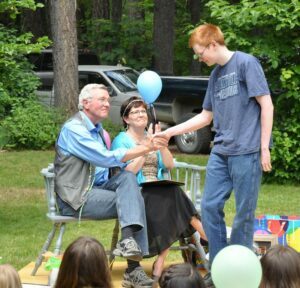 Ron Scutt, one of the region’s most innovative and creative educators, retired last month after four decades as headmaster at the tiny Stehekin School and the whole community turned out to make sure he and his wife Kim were appropriately honored for their contributions. It was quite the celebration, with a community potluck, plenty of presentations from students and parents, capped off with a float being pulled by Tom Courtney’s tractor for the Scutts. 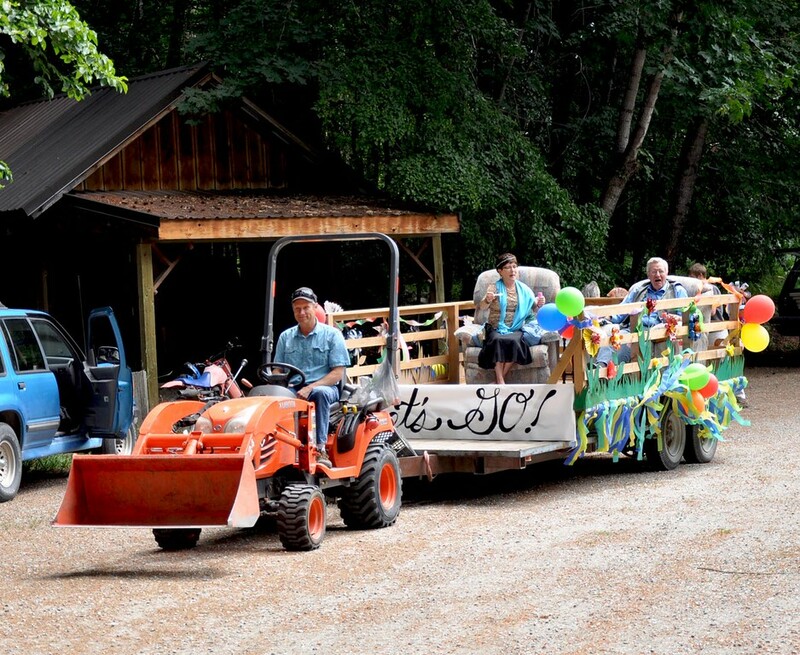 The Scutts have epitomized creative community building during the forty years in Stehekin. In our discussion, Ron Scutt talked about how much he and Kim appreciated the rich relationships they developed with the students and their parents as a highlight of his tenure at the school. He’s the headmaster but he is quick to point out that community members have been key resources for learning. This was just the kind of challenge and opportunity that Scutt was seeking when he applied for the job in 1976. He wanted the responsibility of managing the entire school. 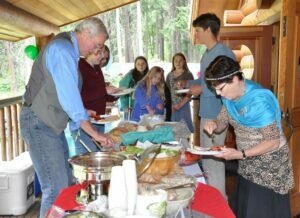 The Stehekin School experience is quite unique in that the classroom is shared by first through eighth graders. The expectation is that older kids help the younger kids and set a strong leadership example. So the classroom is more of a community than the traditional classroom approach of separating students by grades. One of the advantages of being a small school is that there is nowhere to hide, Scutt told me. Kids don’t mentally check out at the Stehekin School. Scutt, a calm, cerebral, gentle and curious soul, admits that it was challenging at times to make sure that everyone was challenged with such wide-ranging developmental abilities in the same class. 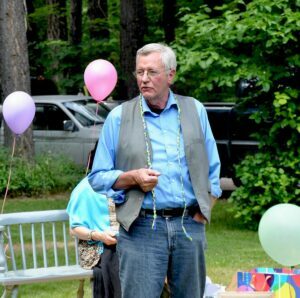 He acknowledged, humbly, that there were perhaps times when the first graders were hanging on for dear life trying to keep up with the class while the eighth graders might have been a bit bored. To focus the class and keep them engaged, he selected a main unit topic upon which he would build writing, reading and mathematics lessons into the study of that deeper subject. A few years ago, Scutt traveled throughout the Middle East and weaved that into an experience for his students that culminated in a trip to Seattle to visit the King Tut exhibit. Another unique aspect of the learning environment at Stehekin School is that school is about more than intellectual growth. Scutt is a powerful advocate for balancing intellectual activities with physical and artistic activities. He’s a powerful advocate for developmentally appropriate education and believes that we need to “understand our children in a different way” by paying attention to balancing all of their needs. Traditional schools tend to concentrate on the intellectual. When students leave the Stehekin School after the eighth grade, they exhibit a tremendous amount of maturity. That’s what Scutt hears frequently from contacts at other schools. They are engaged in their work, serious about school, helpful to fellow students and respectful to their teachers. The friendships he maintains with parents and students is something that Scutt treasures. He said he’ll miss watching the students produce “beautiful, beautiful work.” The Scutts will be staying in the valley for another year. Kim will continue working with the Kindergarten program and Ron says he’ll be trying to stay out of the way of his successor but provide any help necessary. 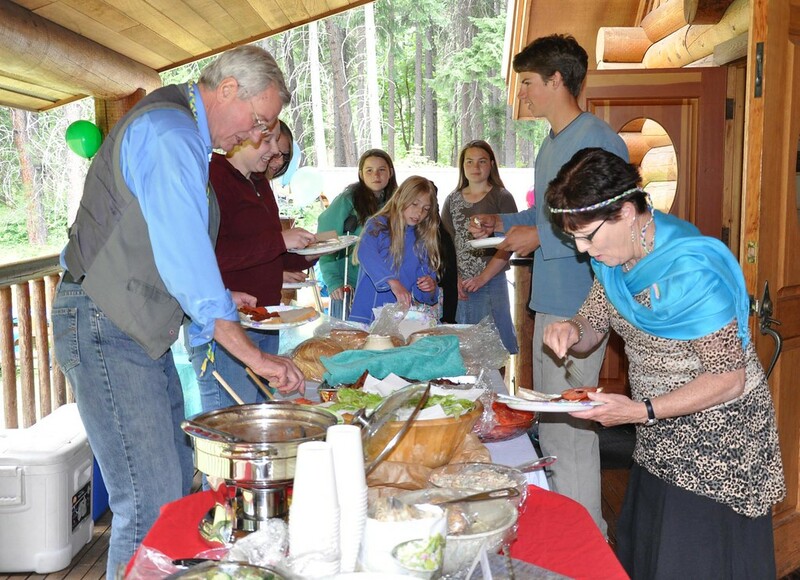 Stehekin is an extraordinary place and its school has been a focal point of community life there. Replicating the school’s results in a larger system would be daunting but there are plenty of lessons to be learned from its successes. To the extent we can unleash independent-thinking, innovative souls like Ron Scutt to create more dynamic learning opportunities in our classrooms, our kids will be well served. Ron and Kim Scutt at his Stehekin retirement function in June.